From the Atlantic to the Pacific, America is home to diverse wilderness, incredible geology and stunning landscapes. Around the six major regions of the nation, countless trails highlight the very best the country has to offer, and there are a handful of trails that perfectly encapsulate the beauty, history and scenery in each region. Full of wildlife and panoramic views, dense forests and pristine waters, the trails found throughout America continue to inspire generations to reconnect with nature. Impossibly diverse, each region of the nation stands alone, providing hikers with a chance to explore and discover geographic wonderlands unlike anywhere else in the world. Along the southern tip of Florida, deep in the mangrove forests, the 3.6-mile Christian Point Trail is perfect for seeing the varying habitats in the tropics of the Everglades. With lush forests, a sweeping coastal prairie and stunning shoreline, this trail gives you a perfect taste of the wilds found in the southeast. Keep an eye out for wildlife, including numerous bird species. Tough, steep and nearly 14 miles round trip, there are no greater views of the Appalachian Mountains than those found on the summit of Rocky Top and Thunderhead Mountains. Gaining more than 3,500 feet, the views of the Smoky Mountains found on this long trek will leave you inspired to explore more of America’s most-visited national park. The strenuous hike is part of the famous Appalachian Trail and is especially beautiful when the wildflowers are blooming in the spring, and when the leaves are changing color in the fall. With wide-open views of the ocean beyond patches of exposed granite, the 7-plus mile round trip Cadillac Mountain South Ridge Trail is ideal for those hoping to explore the geology of the Northeast. Cadillac Mountain is the tallest peak on the eastern seaboard, and the trail weaves through a dense forest up to the ridgeline at 1,530 feet. This trek highlights the rugged coast that this area is known for. 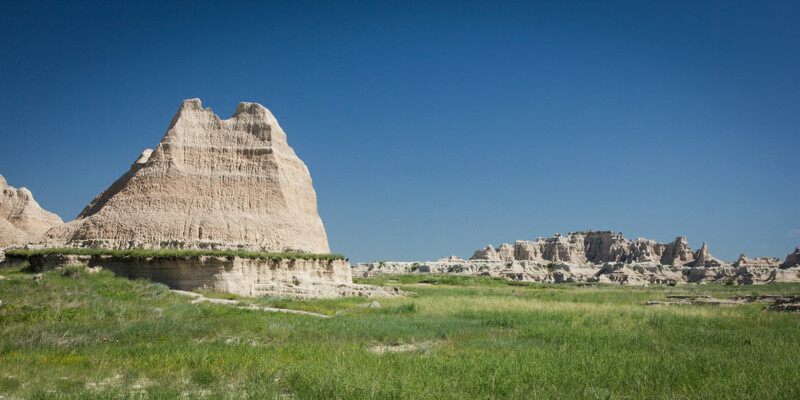 Meandering along America’s famous prairie lands and passing through a maze of spires and buttes, the Castle Trail in Badlands National Park is unlike anywhere else in the US. In just about 10 miles round trip, the trail passes by iconic formations made up of loose compositions of ash, clay, and soils. Passing fossils and highlighting stunning examples of the power of erosion, this trail is a perfect introduction to the rugged beauty of South Dakota. Tucked away in the southern tip of Ohio, the Shawnee State Forest is one of the Midwest’s most overlooked natural gems. Offering 60 miles of backpacking trails, including treks through 8,000 acres of pure wilderness, this region should not be overlooked. Nicknamed "The Little Smokies of Ohio," the beautiful forests and erosion-carved rock features and valleys of this area were once the hunting grounds of the Shawnee tribe. Technically not a "hike," the guided tour of the caverns at Onondaga is a wonderful way to explore the cavernous beauty found around Missouri. Designated as a National Natural Landmark, the growing stalagmites, dripping stalactites and incredible flowstones discovered in this cave will whet your appetite for further spelunking in the Show Me State. There are two hikes in Zion National Park that capture the ridiculous beauty of the High Plateaus of Utah: Angel’s Landing and The Narrows. Angel’s Landing is a well-known hike that is about five miles round trip. But don’t be fooled—you’ll be climbing switchbacks and one section is so steep that the park put in chains to help you out. If you can handle the heights, the views of the canyon’s 270-million-year-old rock layers are worth the effort. The Narrows is another one of the most popular hikes in the park, winding through slot canyons and following the Virgin River. In some places, you might even have to swim, so be ready to get wet on this one! The hike is an out-and-back, and you can go up to 16 miles, so the water is a welcome treat in the hot summer. The best way to see the majesty of the Grand Canyon is from below the canyon rim, and your best trail option is the South Kaibab Trail. Start just before sunrise and take in the first rays of light from the well-deserved Ooh Ah Point. This point-to-point hike to Bright Angel Campground at the base of the canyon is about seven miles, and the trail is well-maintained by the National Park Service. This 8.5-mile out-and-back trek in Dinosaur National Monument is full of fossils, canyon views, seasonal waterfalls, and pictographs. Considered by many to be one of the most underrated hikes in the region, due to the wide range of views and experiences, this trail exemplifies the gorgeousness of the southwest. Located in Glacier National Park in Montana, this combination hike is filled with views of jagged peaks, thick pine forest, and wild rivers and streams. Climbing from 5,000 to 7,255 feet, Ptarmigan Tunnel is one of the ultimate high alpine day hikes in Glacier (and yes—you do walk through an actual tunnel built by the Civilian Conservation Corps in the 1930s). On the return trip, add a few miles and walk to the wildly popular and pristine Iceberg Lake. 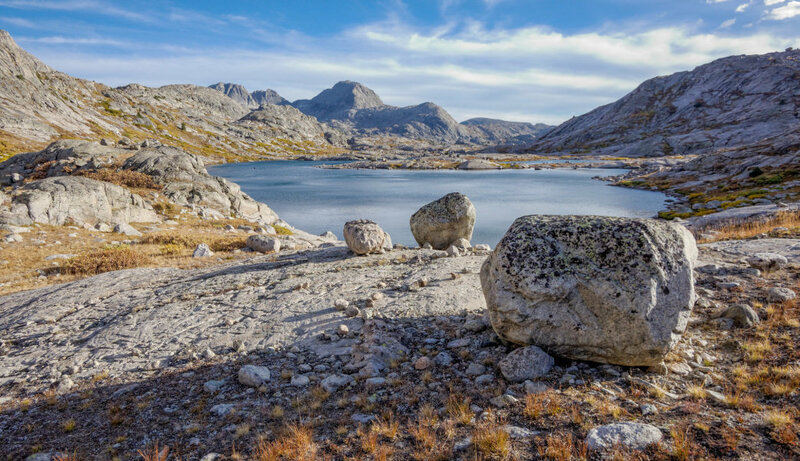 Considered to be the gem of the Wind River Range in Wyoming, Titcomb Basin is an alpine backpacker’s dreamscape, with towering mountains rising from shimmering lakes as glacial-spewed boulders dot the landscape. Walking in the shadow of Wyoming’s tallest peak, Gannett Peak, the 30-mile trail is perfect for spending a few days exploring. Located in the Old Faithful Area in Yellowstone National Park, walking out to the** **Lone Star Geyser is a popular day hike. Erupting every three hours or so and shooting 30-45 feet in the air, the cone for Lone Star is one of the largest in the park. The 4.8-mile trail offers views of numerous other thermal features and you might even see bison wandering on the scorched earth. One of the overlooked rainforest regions of Olympic National Park, the Enchanted Valley Trail is nearly 30 miles round trip. The trail works through old growth forests, across a wild river and to a valley known for cascading waterfalls, a historic 3-story chalet. While the masses may go to the Hoh rainforest, the Quinault Rainforest is a local favorite, and you might even spot a bear or two. Since its eruption in May of 1980, the landscape surrounding America’s most famous erupted volcano has quickly recovered. Once full of ash and desolation, roaming herds of elk now make their way through new vegetation. 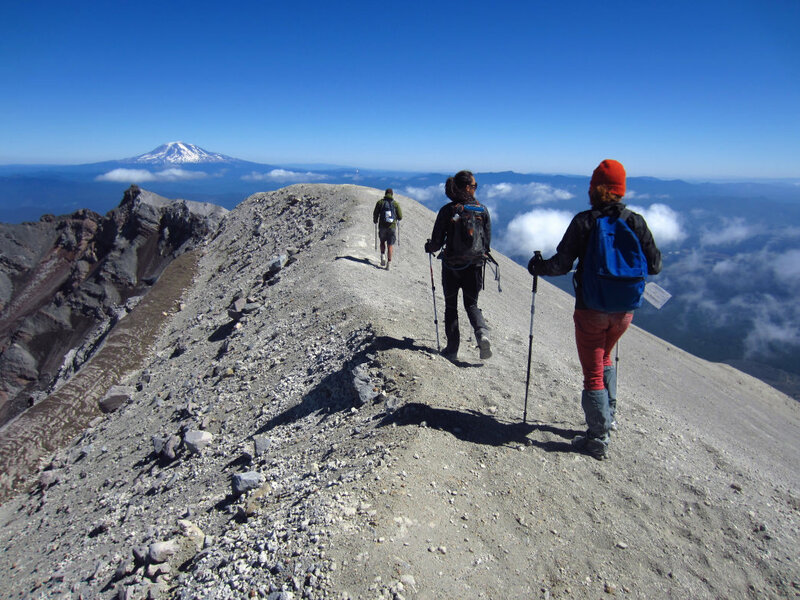 While many trails exist around the region, the best way to see St. Helens is to climb five miles up to the summit rim, taking in views of the surrounding Cascade peaks, as well as the still-steaming dome down in the crater. For the best views in the iconic Yosemite National Park, skip the Half Dome hike and instead hit up the less traveled, but equally amazing views found at North Dome. The 9.5-mile out-and-back trail erupts in wildflowers during the early summer months, distracting you from the 2,000 feet of elevation gain until you reach the final overlook. The end of the trail is known as the best viewpoint in all of Yosemite, giving you a fantastic view of the valley toward Half Dome and beyond. 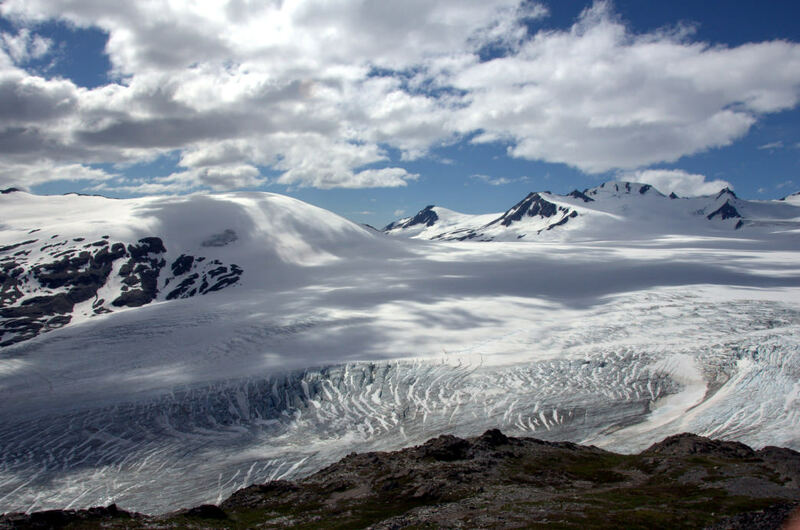 The 8.2-mile round trip Harding Icefield Trail in Alaska’s Kenai Fjords National Park is steep: you’ll gain roughly 1,000 feet per mile on the way up, working through healthy forests before eventually giving you an amazing view of the icefield. From here, the view expands out to the horizon, broken only by a craggy peak sticking out above the snow and ice. Few hikes in the world offer the experience of seeing mighty glaciers on this scale. Traversing the rugged wilderness around the crater rim at Haleakala National Park, this 11.2-mile trail is the ideal introduction to the volcanic beauty found in Hawaii. You’ll drop into the crater via numerous switchbacks down steep cliffs before coming back up to the summit of Haleakala. Capped off with the must-see destinations of the Bottomless Pit and Pele's Paint Pots, the route shows a combination of old and new lava beds, as well as the plants that quickly start to grow. By now you know hiking does wonders for your mind and body. Regardless of your motivation for getting outside—whether it’s to clear your head, catch up with friends, or train for a big trip—it’s easier when you know your hike will end with tantalizing views.